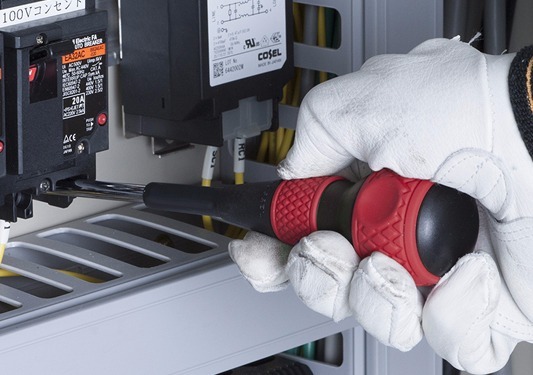 The 220 Series standard ball-grip screwdrivers may not look like a conventional style screwdriver but there are many advantages to the palm-grip design. It’s very versatile, ergonomically designed, and fits comfortably in the palm of your hand. When gripping the "ball-shape" or "ball-grip" handle, an operator can apply their body weight behind each turn for excellent leverage while fastening which results in higher torque output. 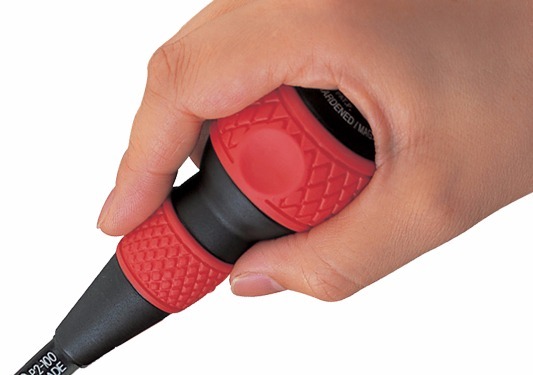 Also, the built-in cushion finger knurl allows for quick turning and fine tuning of small fasteners. 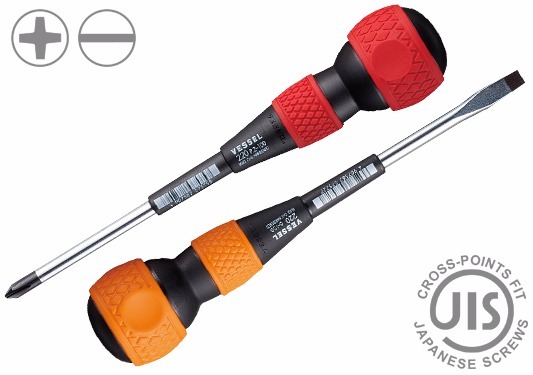 These screwdrivers feature a cushion grip that is color-coded for easy tip identification, a fully hardened chrome vanadium steel shank, magnetized high-precision black point tips, and a solid built body for power fastening. The 220 Series are durable, reliable, and designed for professional use such as electrical, automotive repair and maintenance, industrial work, and general fastening applications. 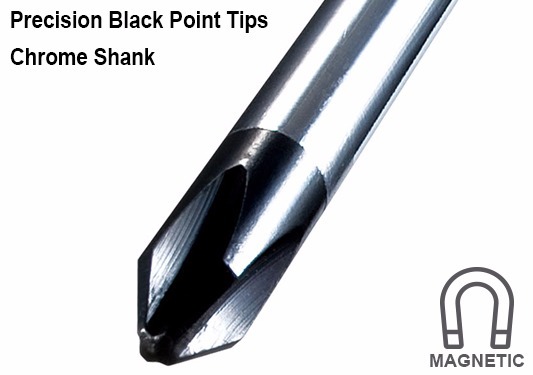 Also, the cross-point tip models are recommended when working with JIS (Japanese Industrial Standard) screws.